Third time is a charm right? Every visit to Panza has been absolutely charming. 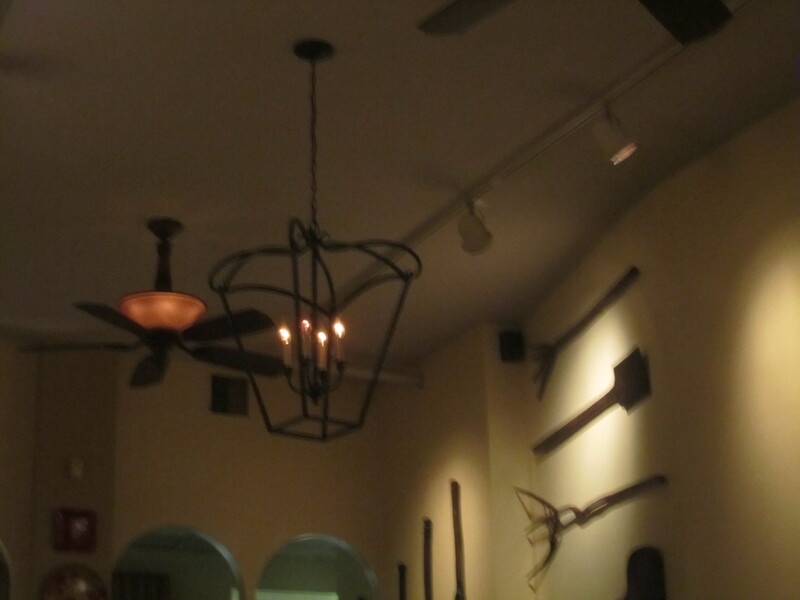 The open ambiance, rustic decor, fantastic tunes make us feel at home. There is a certain relaxed wave of comfort and inspiration you get in the right ambiance or listening to the right song (like the gorgeous Esperanza Spalding’s rendition of Tell Him). Panza has this characteristic. I thank my friend every time for introducing me to this little North End haven. The consistently delivered appetizers keeps us coming back. Granted, we have yet to try the main entrees, but we just can not move forward from the appetizers because they are so delicious. Hopefully, next time. The restaurant was not quite busy after work hours, however business popped around 7:30pm. 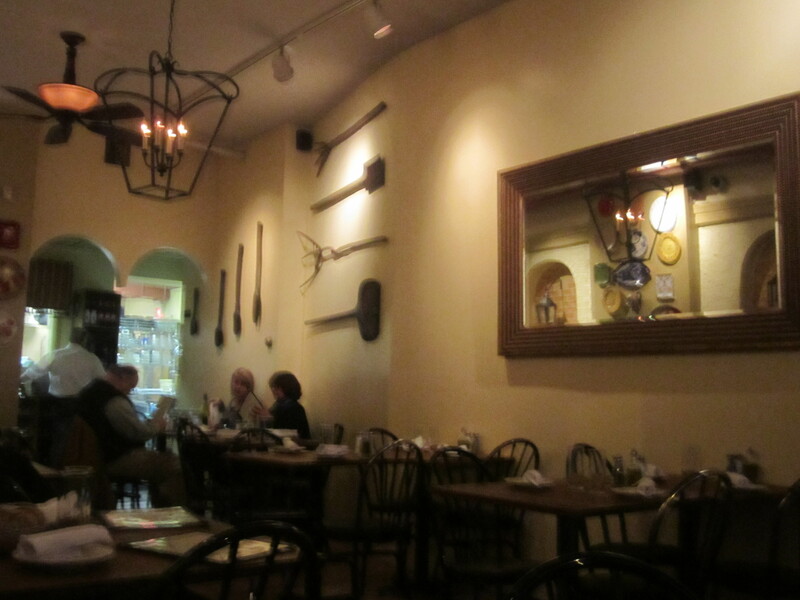 The restaurant does take reservations and a few larger tables were empty for other parties. The seating is tight and my dining companion was bumped twice by the next table. To exit our meal, we had to interrupt the table next to us to stand up from their meal, to enable us to skirt through to the door. Our server was taking orders from the entire restaurant and managed the shuffle well. He was efficient and quick. The crust of the bread and tenderness of the inside is fantastic dipped in olive oil and a bit of salt and pepper. 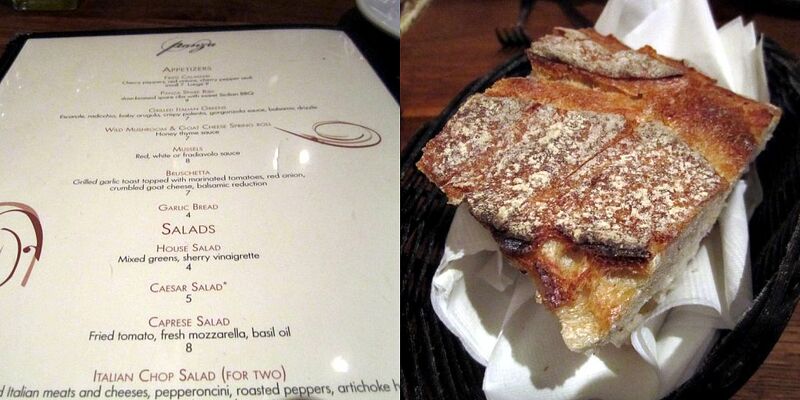 The bread was also a great vehicle to mop up dressing and sauces. 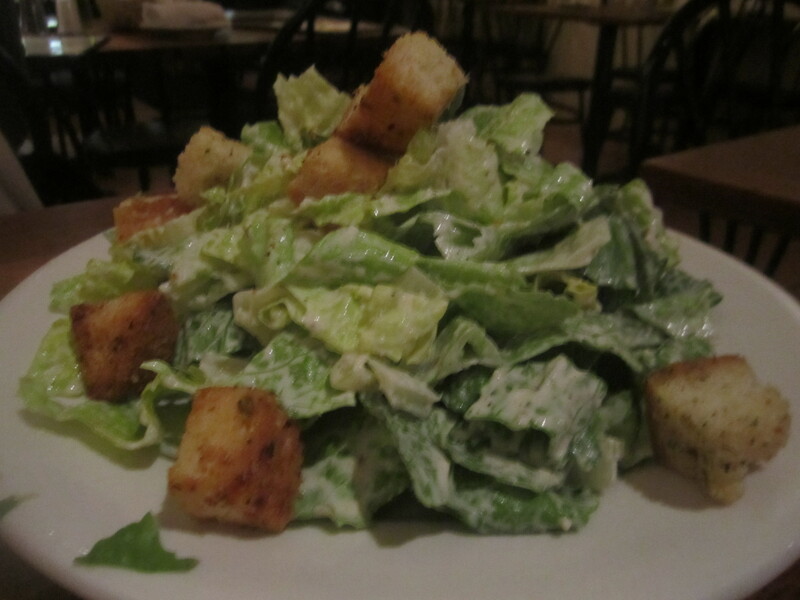 The caesar salad was nicely chilled and each piece of lettuce was crisp and well dressed. The croutons were lightly herbal. 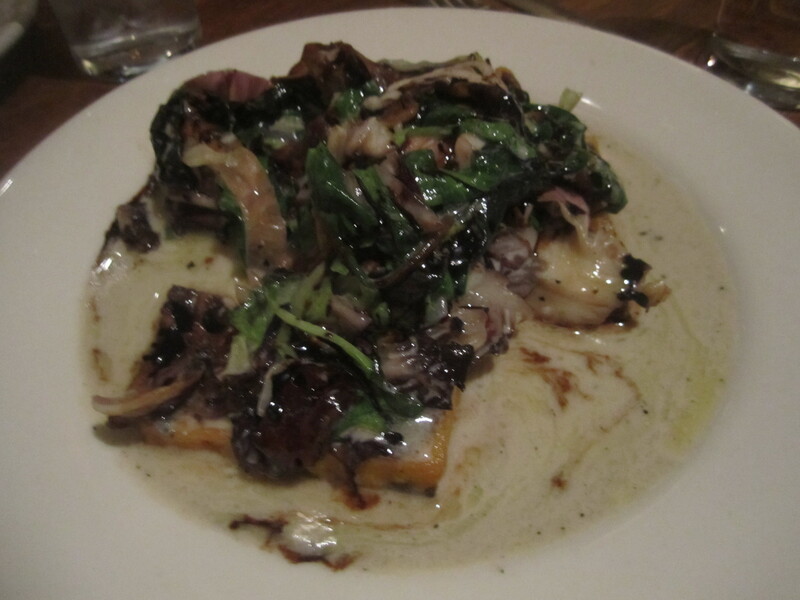 My absolute favorite appetizer I have eaten in the North End is the Grilled Italian Greens. The greens were nicely covered in this luscious, tangy gorgonzola and balsamic sauce. The combination of the crisp and bite of the escarole, radicchio, baby arugula greens, the chargrillled flavor and the sauces is an unbelievable combination. The thinly sliced and lightly crisp polenta is one of the best ever eaten. A great example of the sum is greater than the parts. It is such a great dish and I can not stop ordering it. Do not take this home, it is best devoured fresh.